In a detailed research of the area known as the “Old Section” — the original 1851 deed transfer shows 154 plots measuring 20-by-20-feet with a capacity for 12 grave sites each. Dan Ellis researched each of the interred for an expanded notation of their life existence in Pass Christian. Relevant points of interest include community endeavor, public offices held, occupations, places of residence, children, and other community data. This information is available in book form entitled "Trinity and Live Oak," by Dan Ellis. A survey of information denotes that ten of the original plots are void of names or apparent markers due to hurricane destruction or neglect. Of the remaining 144 plot sites, there are forty-seven military branch affiliations designated by war eras ranging from the Civil War to Vietnam, with some references to the American Revolution. Also found, are special recognition markers which include three DAR (Daughters of the American Revolution), one official C.S.A. marker, several Masonic designations, and five WOW (Woodmen of the World) pinnacles. There are three former Church Rectors and twelve former town mayors interred. Among the grave sites are: 28 founding members of the Town Library – including its first president, six recipients of the cherished “Outstanding Citizen Award,” six former Commodores of the Pass Christian Yacht Club – including its first Commodore. Also, disclosed are; the first Pass Christian Eagle Scout, the first PCI Golf Club Pro, the first Chamber of Commerce president, the first Postmaster, a founding member of the Pass Christian Historical Society, and the organizer of the First Gulf Coast Tarpon Rodeo as was held at Pass Christian. Not lost in the maze of photographed monuments, is the background scenery showing the many trees that provide shade cover and exhibit an ambiance of nature’s glory in a kaleidoscopic reproduction of serene beauty. Some sites have cement or stone borders, some have been terraced, and some are fenced. With aging, some of the wrought iron fencing has been removed while some remain in disrepair. Some of the borders, as well as some graves and markers, have been altered or damaged by tree roots and plant growth. The most obvious of such problems have occurred through neglect and by hurricane damages. Since 1851, there has been a series of severe storms which took place on the immediate Coast: in 1893, 1901, 1902, 1906, 1909, 1911, 1912, 1915, 1916, 1917, 1923, 1926, 1947, in addition to hurricanes Betsy and Camille that were followed more recently by Juan, Hugo, and Georges. With each major storm – there is a major cleanup – creating a greater lose of identifiers. It can only be assumed that lots which are vacant of markers today – were once enumerated with legacy details that are no longer evident. While standing before such lots, one is overcome by a swell of forlornness for those that lay buried beneath the barren ground — unknown perhaps forever. Only in the newer sections with new grave stones and monuments placed since Camille, the Big Storm of 1969, are the names distinguishable. Regardless, the ambiance of the older section will never be lost. The original Founders of Pass Christian remain etched in sacred ground having cut their mark beginning in the 1830s and 1840s. Henderson, Shipman, Hughes, Hiern, and Calvert were avid promoters. 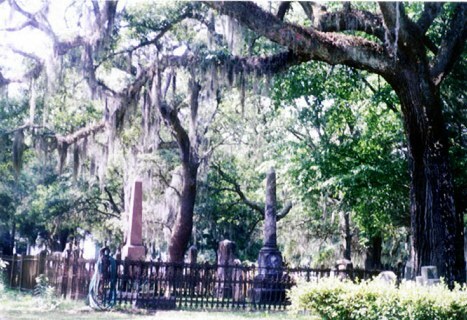 The Hendersons — Elliot and John Henderson Jr. have monuments, however, John Sr. and Louisa are not shown. The Shipmans — Henry Shipman, son of Charles and Cornelia Hiern Shipman is entombed but no markers are indicated for the parents. Charles died in Mexico. 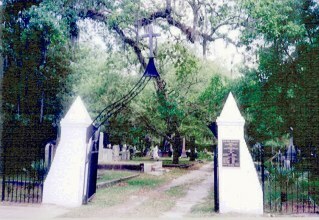 The Hughes — David Hughes is probably interred in New Orleans, but two of his sisters, Eliza and Mary Harriet are buried with their husbands – Finley Hiern and Dr. Calvert. The Hierns — Finley and wife, Eliza Hughes Hiern are marked in their gravesite. 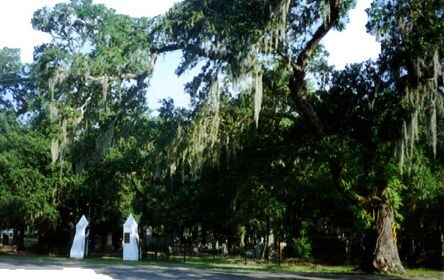 The Calverts — Dr. William Calvert and wife Mary Harriet Hughes are interred with many members of their family. Rev. Pastor Savage — left behind was daughter, Elizabeth. The list grows long of those that left legacies that should be remembered. 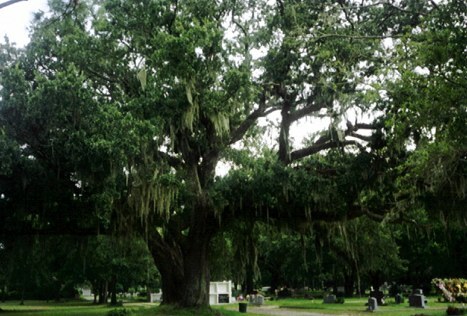 List of Mayors buried in Live Oak’s Old Section. Dempf, Knost, Jebens, Brandt, Bohn, McGlathery, Taylor, Delpit, Curran, Crawford, Caldwell, Sutter, McCutchon, McCollister, Courtenay . . .